Listening to a good chamber ensemble is like watching an acrobatic team. You should hear and see complete trust, interdependence and vulnerability. There is nowhere to hide, and the sound demands competence and confidence to execute. This level of responsibility repels some musicians. 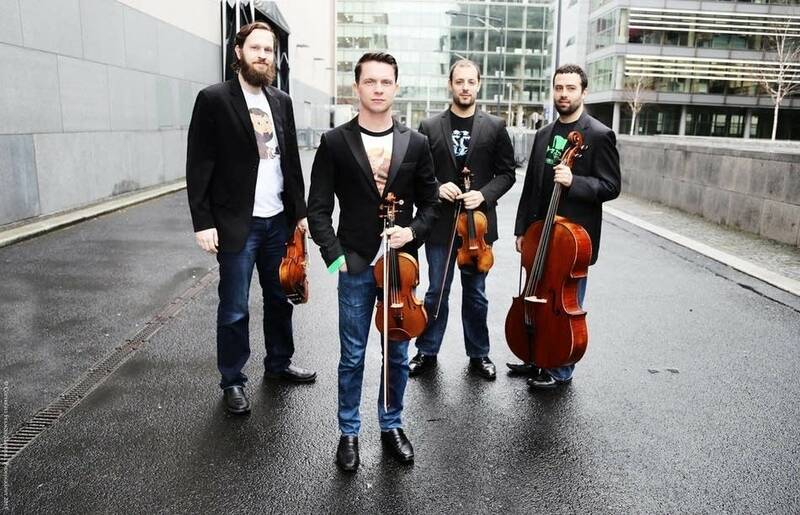 For cellist Chad Schwartz, it led him to found the Triforce Quartet. Well … that and a video. During Chad's senior year at James Madison University, he saw a video of a string quartet playing a Zelda medley. Inspired  and thinking he could write a better arrangement  Chad penned his own senior-recital encore. After pulling together three other players, a video of the quartet's Zelda medley went viral on YouTube. What started out as a one-gig quartet has grown into a touring, viable music group. All four members  Chad Schwartz, Stanley Beckwith, Jacob Roege and Chris Ferrara  are classically trained musicians and avid gamers. Chad, aided by perfect pitch, remains the group's arranger, and they have played at major video-game conferences including PAX Prime and PAX East. We were joined by Chad to talk about the group, and what makes chamber music so special. (We also touch on South Park's new game The Stick of Truth and on video game operas, just for good measure).